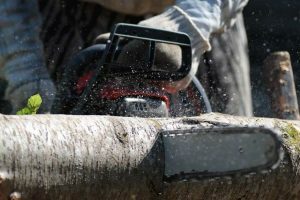 Having your electric chainsaw conk out as you’re working can be pretty stressful, especially if you’re working on an important and time-sensitive project. Your initial reaction might be to run to a shop right away to have it repaired, but that’ll cost you time and money. 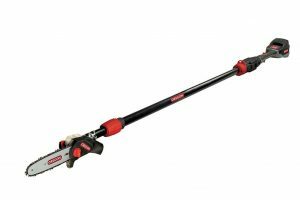 There are a lot of things that can go wrong with an electric chainsaw that are actually pretty easy to fix at home. But you must remember that a electric chainsaw repair task requires a little bit of patience and a systematic approach. The first thing you have to do is to identify the symptoms. Here is a seven-point list that helps you analyze common signs of malfunction, pinpoint the source of these problems, and find a solution to each one. If you’re working and suddenly your chainsaw loses power, the problem may be electrical. Check your connections and make sure all your wires are intact. Also, make sure that you’re plugged into the right socket, as mismatching your voltage can potentially lead to irreparable electrical damage. An engine that won’t start may be the fault of a damaged starter switch. Similar to step one, determining whether the switch is the culprit involves securing your connections and ruling out electrical damage. If you’re in the clear in that department, consider getting a replacement for your starter switch. If your chainsaw is uncharacteristically loud or producing smoke, the problem is most likely the chain. Chains require lubrication to run smoothly, so these signs are probably indicative of a depleted oil reserve. If ignored for too long, the chain or the chain bar will be more susceptible to damage. If you regularly place oil in the reservoir and still experience this problem, the issue might be with sawdust clogging the slots. If the noise or smoke persists, try checking the oil you purchased, as you might have accidentally bought the wrong kind. This is usually the sign of a dull chain. 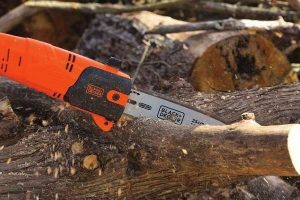 Just as a dull knife can no longer cut smoothly, the same principle applies to a chainsaw’s chain. It is the main cutting tool of the device after all. Chain tension can also be the source of your problem, as a chain that is too loose can affect the cutting-power of your device. Sharpen cutters or replace your chain altogether, and don’t forget to check the tension. If your chainsaw acts more like a broken record than a smoothly running machine, you might want to check the engine drive sprocket. The sprocket keeps the chain in place and drives it forward. A damaged sprocket can mean sudden stops and sputters. Check your oil tube to see if it has been compromised. If it’s damaged, you may have to dismantle the machine to get to the tube. This takes a little more expert know-how, as you’ll be dealing with small parts. No, it’s not a sign of being in love, it’s probably just damaged or worn out motor brushes. If you can find the brush housing, you’ll be able to check if your brushes are in good condition. If they are, then the problem could just be dirt buildup in the commutator. DON’T use a damaged chainsaw. Ignoring the problem will make it worse. 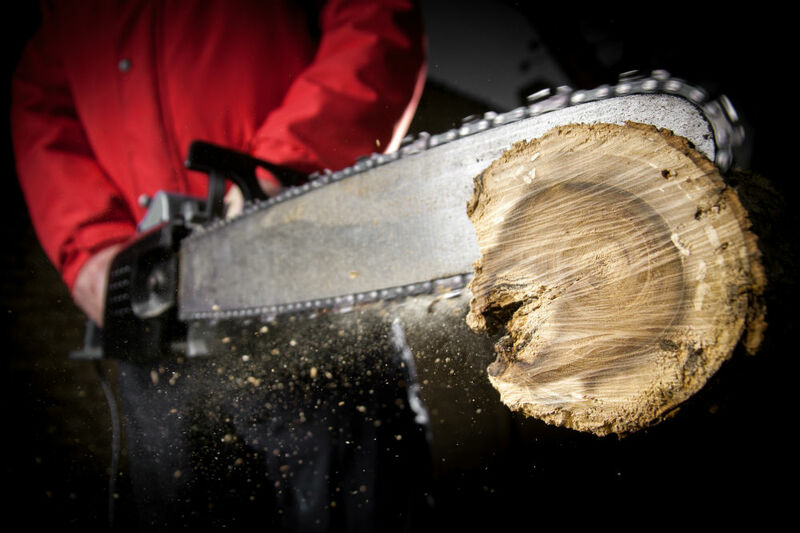 DO ensure that your chainsaw is fully repaired before putting it to use again. If the problem persists, keep testing at a minimum to avoid accidents. 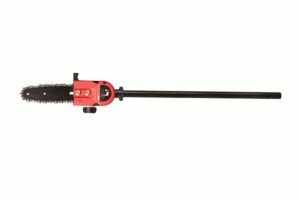 DON’T expect electric chainsaw repair to be easy. DO take the time to examine each part and use the process of elimination to rule out possible problem areas. DON’T be careless. DO keep track of where you keep your parts should you attempt to disassemble your machine. DON’T delay your repairs. This can usher irreversible damage in some cases. DO attempt to find the source of the problem as soon as possible. If you can’t figure it out yourself, seek out the help of a professional. 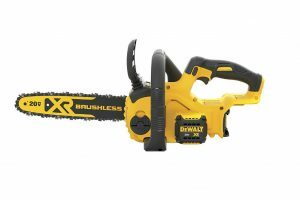 DON’T just store your chainsaw anywhere. DO find a container or space that keeps it safe from dust and moisture, as these things can lead to future damage. Prevention is better than the cure, they say. And when it comes to complicated machines with tons of loose parts, the saying is truer than ever. 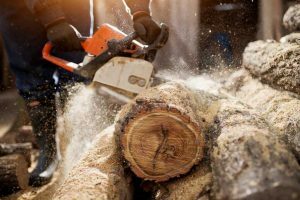 The best way to avoid even having to dive into the complicated task of electric chainsaw repair is to make sure that your chainsaw is always clean and well-oiled. Your chain is lubricated with oil through a set of holes along the edges of your chain bar. These holes often get clogged with dirt and sawdust if left unchecked. Use compressed air, found in cans with long nozzles to get to those hard-to-reach, to remove all unwanted debris out of the holes. When you’re done with the chain blade, don’t throw away that can of compressed air just yet. Debris can build up along the brushes of the electric motor. Use the compressed air to dust these right off. It may seem obvious, but some tend to overlook what’s right in front of them. 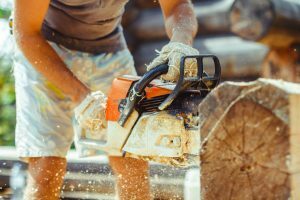 Don’t forget to regularly clean the body of your chainsaw to avoid buildup of dirt, grease, and grime, which can eventually seep into the internal parts. 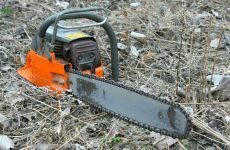 Owning an electric chainsaw, as with owning any complicated machine, is a responsibility, even if your purpose for purchasing the device was merely for recreation. 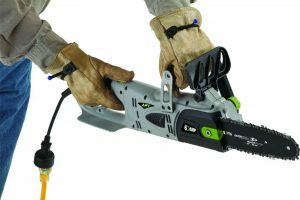 If you don’t work to maintain and repair your electric chainsaw, you might end up spending more money to fix it than it cost to buy it. Lastly, always use your electric chainsaw properly. Improper usage one of the most common causes of damage to any machine. Not only that, improper usage can lead to dangerous situations and accidents. And if you’re unaware of how to act in these situations, you might end up exacerbating the damage. That’s why it’s important that you don’t skip the instruction manual, as it is full of vital information, on proper usage, safety, cleaning, and storage. That way, you’ll be spending less time on repairs and more time enjoying your machine.